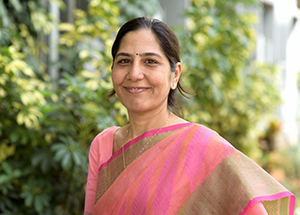 Ms. Swati Soni is a dedicated and passionate educator, open minded in adapting to new technologies, pragmatic in her approach while striving for perfection and excellence. 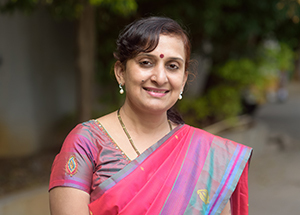 Prior to her role at CMRNPS, Ms. Swati worked as a Principal in one of Bangalore’s leading schools. 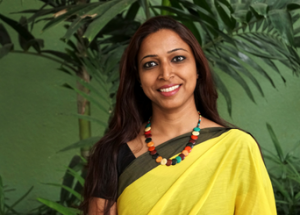 With over thirteen years of teaching and administrative experience in the field of education, Ms. Swati has also worked towards quality management and standardization of procedures in lesson delivery. She is a staunch advocate of quality over quantity, with a firm belief that the quality of one’s work cannot be taught – it is a trait that lies within every individual that needs to be explored and honed. A gold medallist in Microbiology from Goa University, Ms. Swati is a B.Ed. graduate and holds an MBA in Human Resources. Excellent at managing her time and fanatical towards the pursuit of quality, Ms. Swati is known for being tactful and efficacious even under pressure. Aside from gardening and immersing herself in books, in her free time, Ms. Swati loves to travel and explore unexplored places, try new cuisines and meet new faces. Ms Shyla embarked on her career in education in 1993 as a teacher at CMR National Public school. She has been a passionate and caring teacher and has taught students right from Kindergarten to Grade X. With her valuable experience of handling students of all age groups, she has been a stalwart at CMR National Public School, for over two decades. Now, she serves as the Associate Director Planning and Admission at the school. She believes that children should be provided with a creative learning environment that will give them an opportunity to explore, think and expand their skills and will help in their holistic development. Children are the prime focus of all her effort in work and she leaves no stone unturned to ensure that each child’s innate talent is recognised and channelized and at the end of the school they are self-confident and possess high self-esteem. She is a keen learner and keeps upgrading her knowledge on the latest practices in the field of education. She has attended various workshops and training sessions to keep abreast with the changing trends in education. An able and efficient administrator, she is committed to all that the school stands for. It is her endeavour to provide students with a strong value system so that they develop into good human beings. She not only guides and motivates the teachers but also conducts orientation sessions for parents, giving them tips on how they could guide their child in making correct decisions and help in moulding the future of their child. She also addresses their concerns and complaints effectively. Her acumen coupled with a strong desire to bring about a change in the field of school education and help students adapt effectively to a fast-changing world is certainly an asset to CMR National Public School. Dedicated and committed, Ms. Hema is a teacher par excellence. Being equipped with MSc and MEd degrees, she has a teaching experience of 15 long years. She comes from a defence background and has taught students at all levels in various schools across the country. Ms. Hema has a positive attitude and the ability to listen, learn and inspire others. She believes that education is one of the most important contributions to the society and as educators, we can mould our students into responsible, dynamic citizens. As Senior Academic Coordinator, she now assists in developing and conducting assessments, oversees the implementation of curriculum, observes classroom teaching and serves as a facilitator for students of Grade XI and XII, reviewing their performance from time to time. Endowed with a rich experience, she is always ready to go the extra mile for students as well as teachers. 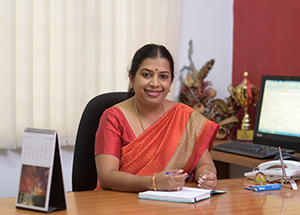 As the Primary Academic Coordinator, Ms. Lalitha oversees academics for Grade 1 to 5. With over eight years at CMR National Public School, she has also served as a primary school teacher, handling English, Social Science, EVS, Life skills, General Knowledge and Music. Prior to her role at CMR, Ms. Lalitha worked in a language school and has taken English classes for Korean students. Ms. Lalitha holds B.B.M and B.Ed degrees and is currently pursuing an M.A in English from IGNOU. She also holds a dual specialization in Career Counselling from UCLA and GCC, having been awarded the Global Career Counsellor Certification from UCLA Extension & Univariety. Educators, according to her, play a vital role in a child’s growth – from igniting their curiosity and creating room for learning, to encouraging their enthusiasm and giving them confidence in their own capacity. 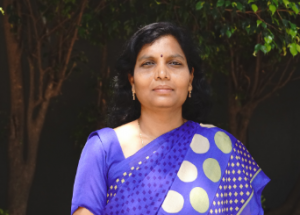 A perfectionist who brings dynamism and energy to her work, Ms. Lalitha is passionate about bringing change to the education system, where no child is made to feel incapable, as she believes that every child is unique and gifted in their own different way. With over eighteen years of teaching experience, twelve at CMR National Public School, Ms. Nandini Ganesh is the Middle School Coordinator. She holds an M.A in English Literature from Jyoti Nivas College, and B.Ed from IGNOU. 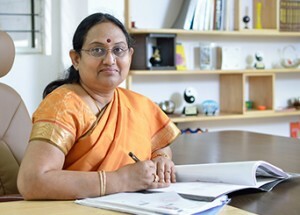 Prior to her role at CMRNPS, Ms. Nandini worked at three schools. 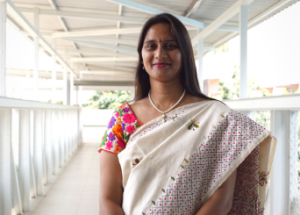 In addition to teaching English, Geography and Economics to Grades 1 to 8, Ms. Nandini has also spearheaded the Examination and Sports committees. Known for being industrious and approachable, Ms. Nandini credits her passion for education and sharing knowledge, for her career in education. In her free time, she enjoys long walks and cycling at dawn. Committed, hardworking and responsible’ is the best way to describe Ms. Deepa. She completed her Bachelor’s Degree in Arts (History, Economics and Political Science) from Mount Carmel College and trained in the Montessori System of education from IMTC. She has completed ten years in CMRNPS. Reading is her passion and she always tries to get the little ones to follow suit. She believes as teachers and adults it is our duty to inculcate the right morals and values in our wards, as they are the future, and education is an integral tool which we can use.